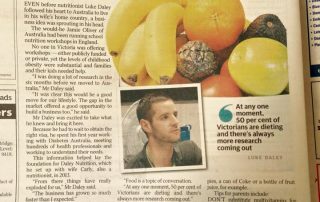 At Daley Nutrition we believe that ‘health prevention is better than cure’. Worryingly statistics from the Australian Government in 2009 stated that 42% of 5-year-olds have some form of tooth decay, which increased to 62% by the age of 9 years and can cause lifelong dental damage. Young children also consume 30% of their daily energy intake from junk discretionary foods and drinks . The two biggest causes of this are 1. too much added sugar in a child’s diet (lollies, chocolate, sugary cereals and drinks) 2. a lack of teeth cleaning in the morning and evening. 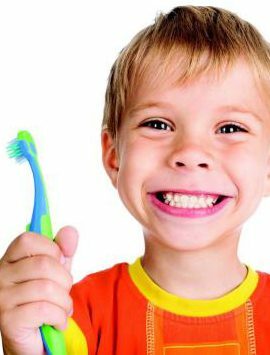 We believe that children should be able to identify what tooth decay is and what causes it. In our oral health school incursions, we educate little ones about the anatomy of teeth, what they do, how they grow and how to look after them, which is presented in a fun engaging way. 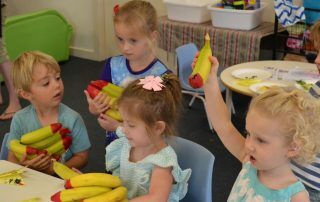 Our nutrition & oral health school incursions are specifically designed and run by our Qualified Dental Nurse and Registered Nutritionists. Lynne our dental nurse has been working in practice for 40 years and has seen every scary tooth decay case you can think of, and she takes joy in helping the new generals to learn more about their dental health. 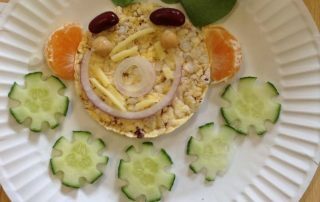 All our nutritionist are parents and have been through the battles of lunchboxes, sugar influences and teething cleaning dramas with their own children, which enables them to give specific food and nutrition advice to benefit children and parents. Catering to different learning styles: visual, auditory, kinesthetic and reading/writing learners. 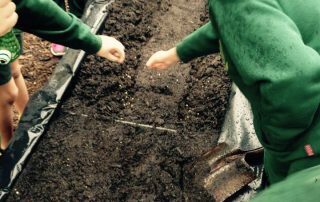 More than 50% of the workshops are activity based using props, worksheets & food tasting. Curriculum focused to cover health science, social learning and biology topics. 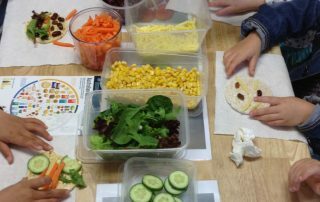 Our Growing Nutrition workshop (1 hour) is delivered in a fun and interactive way. Follow up option: cooking demonstration using produce grown by the class. 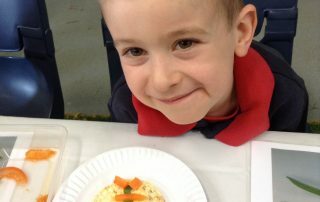 Snack Art workshop Incursions (1 hour): this workshop is packed with nutrition visuals and it is taught using fun activities, story-telling, food tasting and colourful props. The kids have a blast and so do our nutritionists running them! In groups we will make a healthy high calcium smoothie recipe! 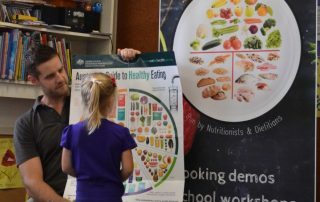 It is important to empower parents with up to date nutrition and dental health information. 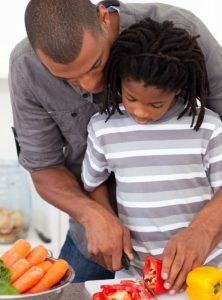 Often parents aversions to nutrition and dental health will be passed down to their children. In this packed 1 hour workshop, we visually educate parents about how to look after their children’s diet and encourage health dental hygiene routines.